The Board out! Rodgers out! Kenny in! Can you believe it? This was the profound conclusion of a Liverpool phone-in fan this weekend. Others called Rodgers ‘a clown’. Talk about a rush to judgement. Someone even bestowed upon their new manager the ultimate insult – comparing him to Steve Kean. This is a man whose role in football seems to be the standard against which all failure and delusion is set. This kind of hysterical reaction was exactly what Liverpool fans of old mocked in others. They were the model for an empire built on phlegmatic stability. So okay, the whoopy-doop yeehawers are already getting their posse together for a lynching. 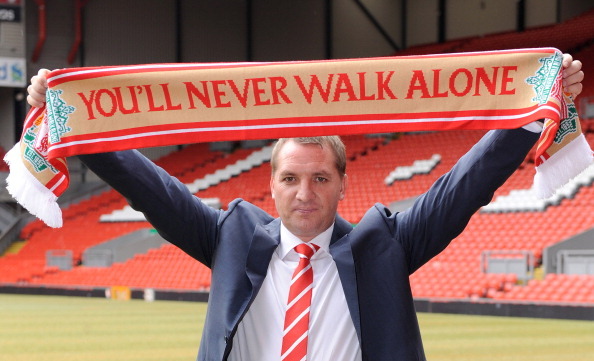 These early calls for Rodgers’ sacking reveal a more corrosive belief which infects football; the belief that you can clear out one lot of owners, players and management and replace them with a new successful raft. Just like that. Rubbish out, quality in. Easy. This is an intellectual redux which can’t be allowed to pass unchallenged because while it is easy to mock, it certainly creates an atmosphere which is antipathetic to a regime with vision and long-term planning. It would trade long-term success for short-term gain. Indeed, it seems to have no conception of long-term at all – their existence is all about jam today. Vision in football is a rare thing. Most managers do just that. They manage. But they don’t really have nor are required to have a long-term vision. However, the most successful managers usually do have The V Thing. Sir Alex Ferguson had it, Arsene Wenger, Jose Mourinho, Pep Guardiola have had it. In the past, managers such as Bill Nicholson, Bill Shankly and Brian Clough had it. Internationally, Rinus Michels had it. The V Thing is hard to define but you know it when you see it and it seems to me that Brendan Rodgers has The V Thing too. You might not like it or you might not want to wait as long as it takes for it to be successful, but he does have it. ← Why is Ronaldo sad?